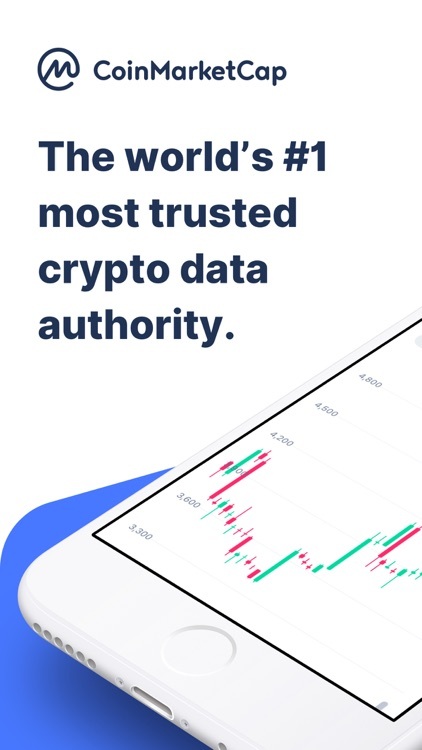 The world’s #1 most-trusted cryptocurrency data authority. 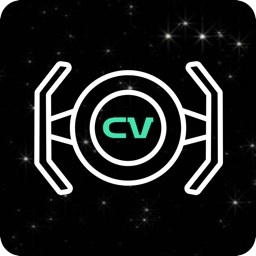 Market cap & rank, prices, exchange volumes, and currency conversion! Track your holdings with our new portfolio and make detailed comparisons – plus stay updated with crypto news. 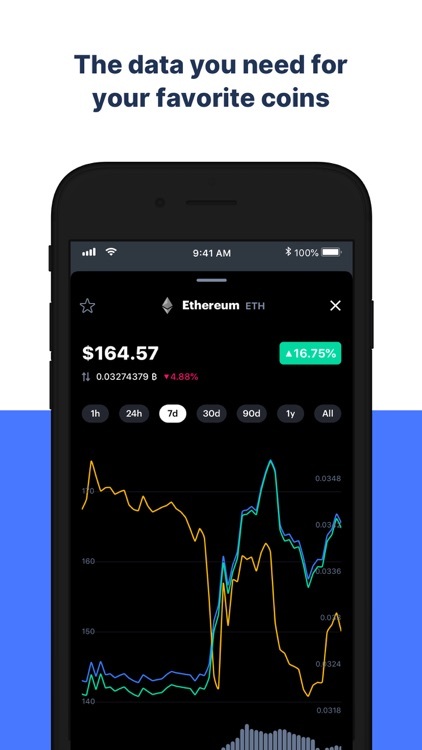 With our free app, track your favorite cryptocurrencies such as Bitcoin, Ethereum, XRP, EOS, Tron and 2000+ more coins & tokens. 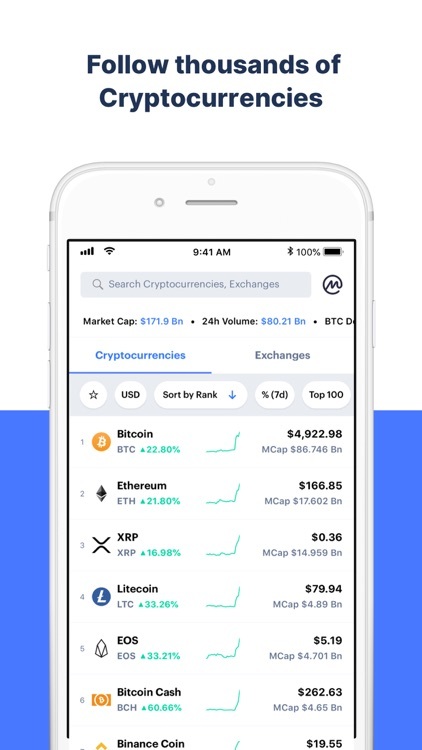 It’s the best crypto app around, with market capitalization and ranking, price alerts, candlestick charts, portfolio tracker, currency converter including fiat, coin and token news, and crypto comparison tools. From bitcoin to altcoins, get accurate and real time rates in one place, from the crypto data authority you know and trust. If you invest in crypto and blockchain projects, this is the essential app for you to track their health and activity. Get descriptions, charts – including candlestick charts, daily historical OHLCV data – and links to each project in the same place. Get only the latest and greatest! Being a crypto investor, it’s important to know the liquidity and pricing for each market. 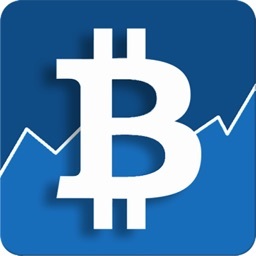 Track over 16,000+ crypto markets from CoinMarketCap, and find exchange rankings, volumes and charts. Get details for each exchange’s active markets and fee structures. 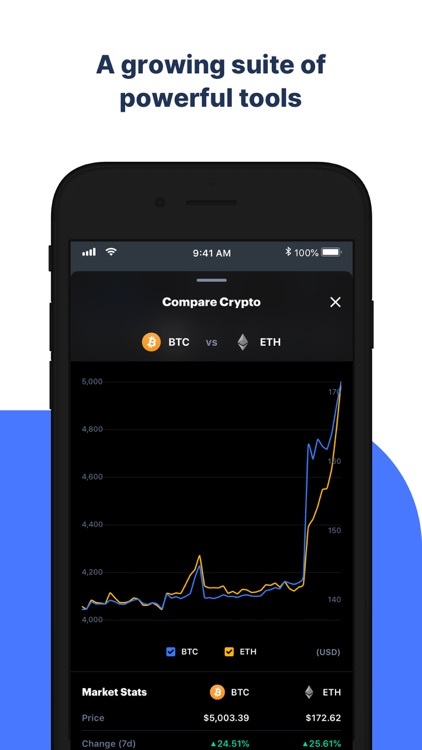 Update yourself with important crypto metrics, such as Total Market Cap, BTC Dominance, ETH Dominance, number of cryptocurrencies and more. Check the overall crypto market performance and know where the industry stands today. 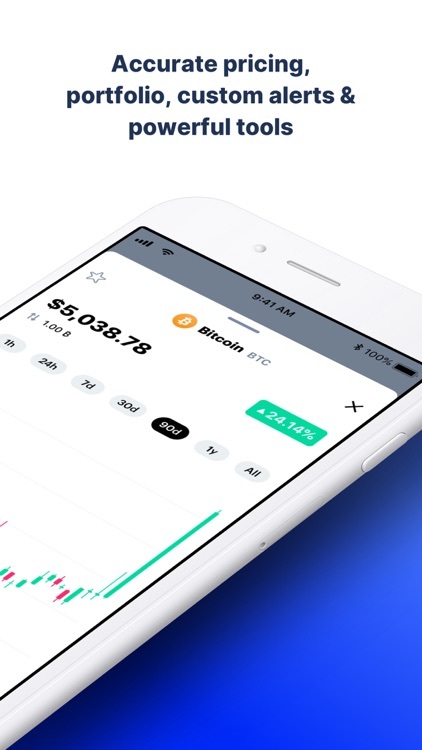 Track your crypto portfolio with the latest prices from coins, altcoins and tokens, such as Bitcoin, Ethereum, XRP Ripple, Litecoin, Bitcoin Cash, EOS, Tether, Binance BNB, Stellar, Cardano, Monero, Doge and 2000+ more. View your portfolio in 90+ fiat currencies such as USD, EUR, JPY, KRW, CNY, crypto bases such as BTC, ETH, XRP, LTC and precious metals such as Gold and Palladium. 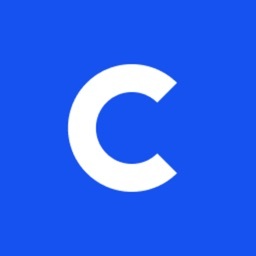 Track the health and performance of your crypto portfolio with CoinMarketCap price data. Update your crypto holdings with the simple add and subtract interface when make new transactions. Convert crypto to crypto, crypto to fiat, or crypto to precious metals, using our powerful price converter. The most powerful fiat to fiat conversion tool available when traveling! 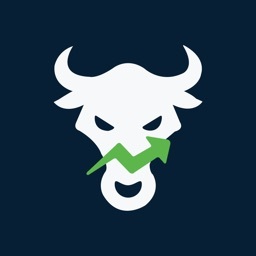 Setup price alerts, down to the cent and never miss your targets. 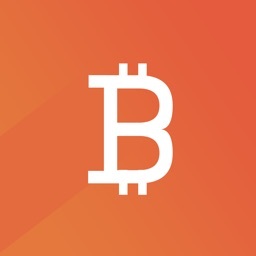 Quickly and easily track prices of bitcoin and other cryptocurrencies and get notifications as the price hits above or below the threshold you set. 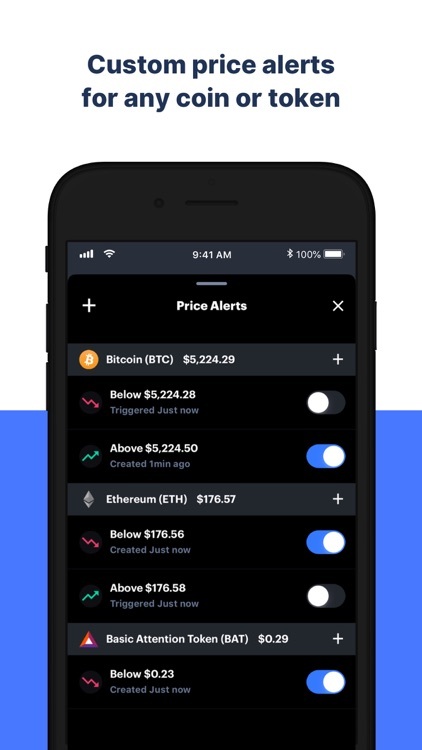 Set alerts for any of the 2000+ cryptocurrencies available on CoinMarketCap. Compare cryptocurrencies based on their price, market capitalization and volume over 1 hour, 24 hours, 7 days, 30 days, 90 days, 1 year and total time in market. Put crypto side-by-side and follow changes and improvements over time. Follow news based on your portfolio and watchlist, the app will surface news most relevant to your interests so you never miss a beat. 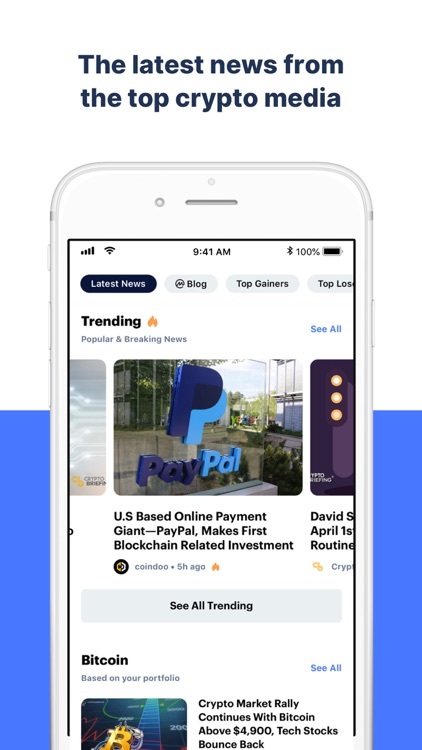 Get the latest coverage from top crypto media outlets, learn more about blockchain technology, trends and crypto analyses. Read content from the top companies in the space on our blog, and discover top gainers and losers by price for the hour, day or week. 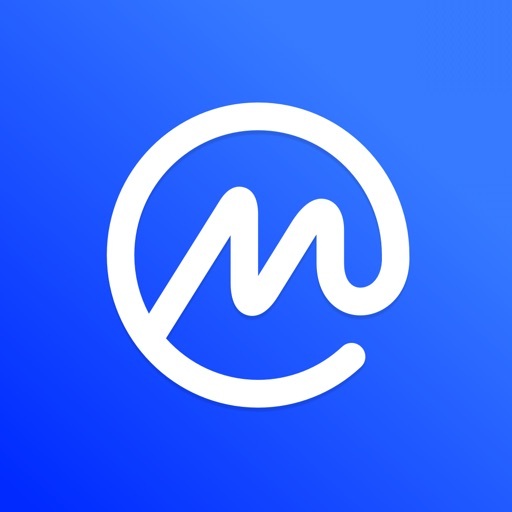 Sign up for a brand new CoinMarketCap account, and save your portfolio and watchlist; or choose to go incognito without logging in at any time, saving your data locally. 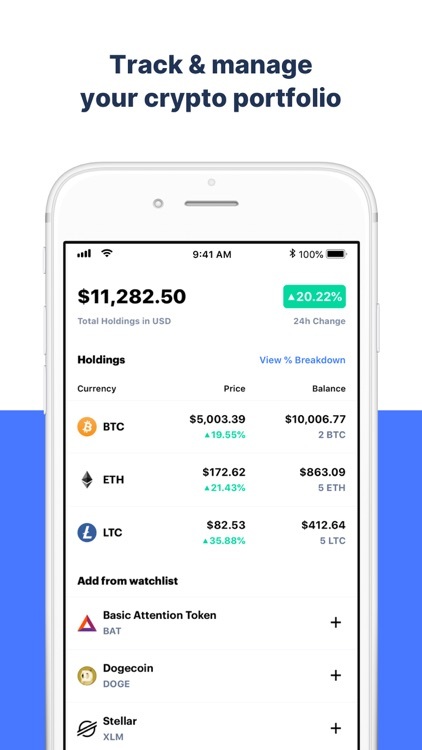 Pick your default cryptocurrencies and fiat currencies, and have them shown and populated throughout your app experience. Use night mode or day mode, depending on your mood and time of day. Use Face ID, Touch ID or Passcode to secure your app. Be assured that all feature requests and bug reports will be attended to, and the app will be updated constantly.